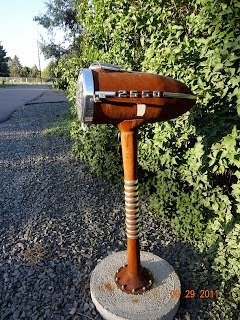 I’ve been searching for some inspiration this week and found some great mailbox art that I just had to feature this week in Tuesday’s Top Five Favorite Junk Finds. Beacause well my boring mailbox needs an artistic overhaul! Hope you enjoy them! 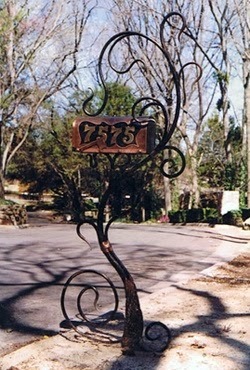 Mailbox art comes in all forms and one technique I would love to learn is welding, The things that metal sculptors create just amaze me. The varying shapes, textures, finishes, and scale achieved through metal fabrication is amazing. 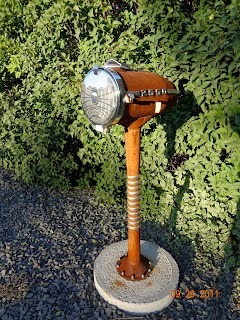 Here is a great example of a sculptural mailbox created by Potter Art Metal Studios with the vine-like metal scrolls it looks as if it just grew up out of the ground, I love the copper and brass used creating a focal point on the box itself. What a gorgeous elegant piece. 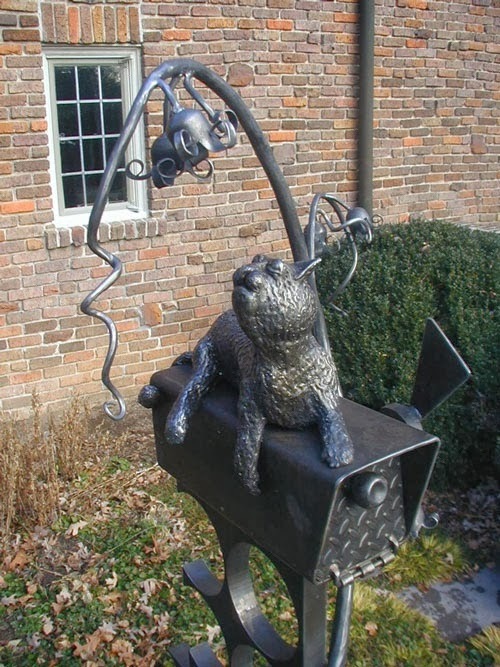 At Potters you will find some wonderful metal sculptural elements for the home and garden. 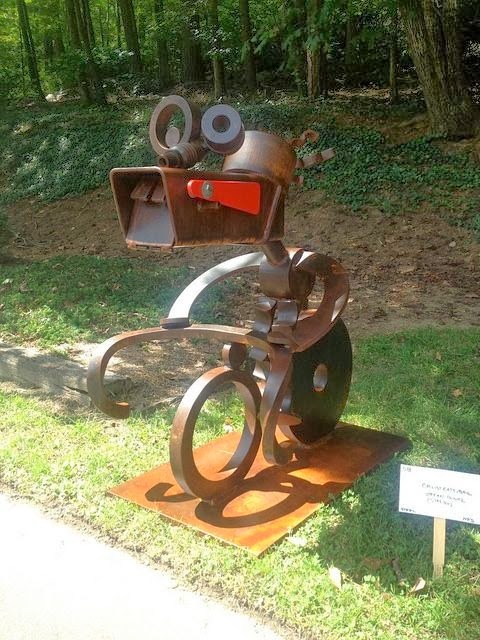 Next are some great examples of welded artwork created by Stefan Bonitz a metal sculpture artist from NC, these mailboxes are just a small example of his works, Stefan’s gallery on Flicker encompasses his full range of artworks from large outdoor sculptures to pieces made for interior design and decor. There is a really interesting video on his home site documenting the construction process of one of his large public installations for the city of Waynesville. Its worth a gander to catch the creation and instillation, plus you get a peek into his studio. I love these two sculptural mailboxes and they differ so much in design you would never expect them to be from the same artist! They really depict how an artisan evolves over time. Colorado Cowgirl found this great mailbox in Lakewood, This garden boasts vintage car sculptures such as two planters created from 1930 Chevy cars. First off I adore classic cars as you know from my previous car furniture post. The fabulous character of their design with their swooping lines and heavy chrome, the warm fuzzy feelings evoked by a great era in American culture just makes me swoon. This mailbox has all that and more with its vintage rust, and sleek lines paired with lovely shiny chrome. It just makes me smile! 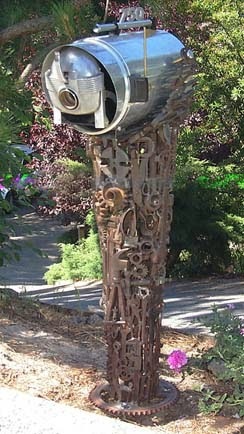 Here we have a wonderful sculpture mailbox by furniture artistan Robert Heitzman, this sculpture was created from an Electrolux vacuum, a restaurant coffee maker and about 100 lbs of hardware and tools. Simply gorgeous! Robert mostly creates elegant functional wood furniture, you can see his works through the artists links, beautiful pieces with a deco flair. I love this piece, the best of both worlds fused together as one. The smooth finish and lines of the deco vacuum, paired with the rusty angular lines of the tools. Two opposites combined creating a visually striking piece! And last but not least is a favorite whimsical mailbox sculpture located in Safety Harbor Florida, by the infamous Dino Kotopoulis, an award winning painting, design, and sculptural artist who previously worked in graphic design and animation. He created Charlie the Tuna, and worked with Disney, Universal Studios and Hanna Barbara Cartoons. In 1985 Dino retired and moved to Florida where he took his career in a new direction, opened a studio and created metal yard art. He now resides in Alabama where he is involved with the Committee Of Public Art. 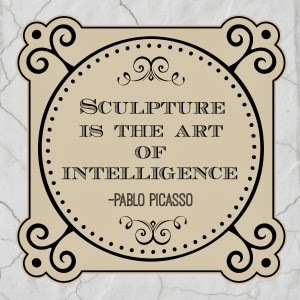 Dino’s works are displayed in fine art galleries and museums. 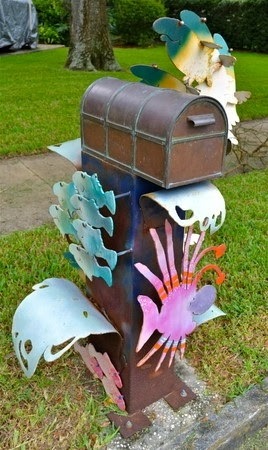 The color and whimsical ocean themed forms on this sculpture are sure to brighten any mailman’s day! Looking for more great mailboxes? Check out my Pinterest Board .